The Dakota Favor Card adds pizzazz to your table settings. With delicate and fanciful oceanic inspired imagery, the card perfectly blends artful with informative. This piece is flat printed single-sided on luxuriously thick cover stock with a subtle eggshell textured finish. 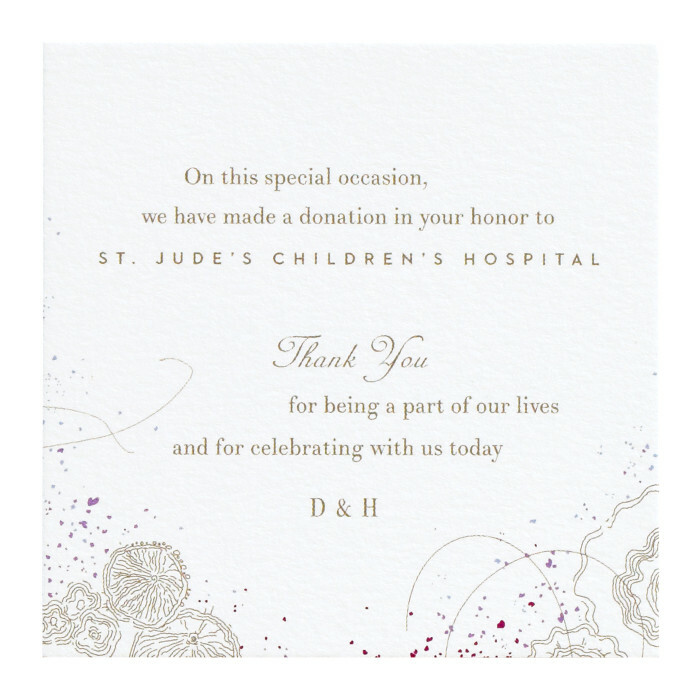 $229 for 100 flat printed Favor Cards.